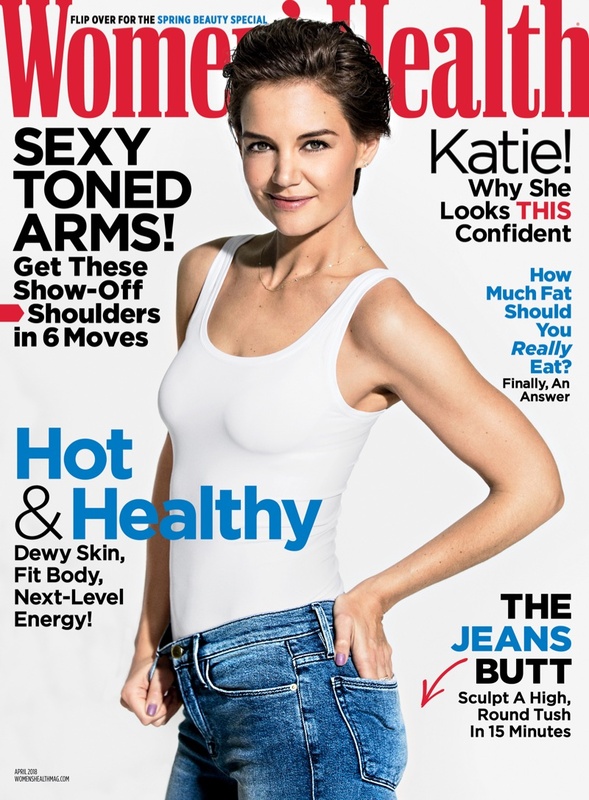 Actress Katie Holmes flashes a smile on the April 2018 cover of Women’s Health. 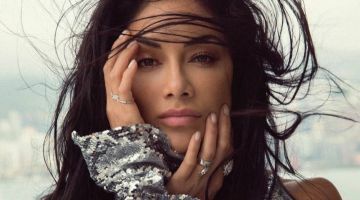 Photographed by Ben Watts, the American beauty wears a Hanro tank top with FRAME jeans. For the accompanying shoot, Katie sports casual looks perfect for working out or keeping it chic. Stylist Jacqueline Azria dresses the short haired beauty in denim, tanks and sweatpants. For beauty, DJ Quintero works on hair with Genevieve on makeup. In her interview, Katie talks about cutting off her hair for a role in ‘The Doorman’.